I’m going to keep this simple and straight forward. If you’re not building muscle, you’re probably missing the basics. You can’t put 60 miles worth of gasoline and drive 120 miles can you? Providing your body with the essential calories and nutrients is rule #1. You will be working hard in the gym, you not only need to provide enough calories to fuel your workout, but you also need a caloric surplus in order to gain weight. For each meal aim for 1-2 fistfuls of protein (30g or so), 2 fists of vegetables, healthy fats, and carbs such as sweet potatoes or rice. Track what you eat using a site such as livestrong.com and consider reading up on carb cycling to maximize muscle and minimize fat. Supershakes are a convenient and easy way to pack your body full of quality nutrients for muscle growth. To build muscle you must follow the laws of progressive overload. You must continuously work to add weight to the bar, increase the speed you move the bar, increase the number of reps, or decrease rest periods each time you set foot in the gym. Give your body a reason to grow by challenging to a new level every chance you get (within reason), repeating the same workout pound for pound and word for word will not help yield the gains you are looking for. Mixing in endless amounts of curls, leg extensions, calf raises, and lateral raises will do little more than delay your recovery and hinder your progress. Stick with squats, deadlifts, presses, bench presses, chin ups, dips, hip thrusts, and rows to build a well rounded physique. Major structural exercises like these will work the most muscle mass and stimulate the biggest release of testosterone to fuel your muscle growth. You don’t need gimmicky machines, cable crossovers, and shiny new equipment to get the job done; they are often a waste of time. Pay your dues with a barbell, kettlebells, dumbbells, and your own bodyweight to move your body the way it was built to move. Training heavy is becoming a lost art in many gyms. I see so many people training every exercise at 12-15 reps chasing the pump that it makes me sick. Most individuals tend to follow body part splits with crazy high volume and rep ranges that only work for beginners and/or steroid users. Most drug free lifters make phenomenal gains by putting more weight on the bar and focusing on rep ranges between 3-8. Anything over 8 reps really begins developing endurance unless you can handle significant weight for reps. Bottom Line: If you add 50 pounds to your squat or a deadlift in a year you will be bigger, add weight and see magic happen! Workouts are meant to stimulate, not annihilate the body. Get in a solid warm up and try to complete your workout in 45 minute or less. You are in the gym to work out and see results, not socialize in-between sets on the preacher curl. Get in, get out, eat, and repeat. Staying healthy and recovering from workouts is absolutely vital to making consistent progress in the gym. Foam roll troubled areas such as the shoulders, pecs, IT bands, calves, and piriformis to improve movement quality. Pick up a foam roller or use tennis balls, baseballs, softballs (ouch), medicine balls to break up scar tissue. If you are financially able try to get a deep tissue massage once per week. The emphasis on your training still needs to be on lower repetition multi-joint exercises to build muscle. However, increasing reps on occasion to 10-15 reps will increase your muscles ability to store glycogen and water. This will add volume to the muscle and increase their size. This is known as non-functional hypertrophy. If you goal is solely aesthetics and not strength/power mix 1-2 exercises per workout with a higher volume. Just be aware this can compromise your performance on big lifts! Writing down your workouts and tracking your progress is incredibly important to make consistent gains in the gym. 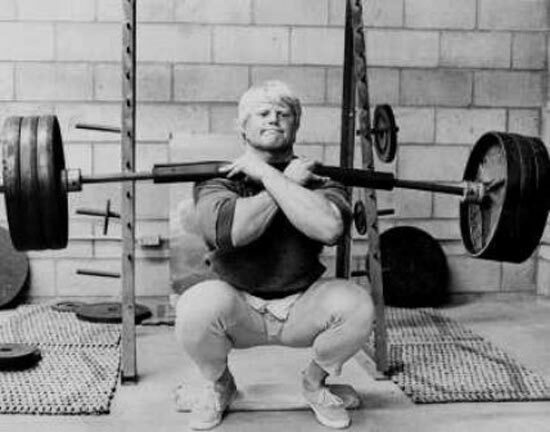 How in the heck will you know when you have a new PR, or when you increased your reps by 5 on your squat from 2 months ago? Keeping a detailed workout journal will show you exactly what has worked in the past and what has not. Your workouts will improve and so will your knowledge of how your body reacts to different workouts. De-loading the muscles and nervous system every month or two will keep you healthy and mentally fresh in the long term. Muscle building is not an overnight ordeal, it takes years to build and smart programming. Take a complete week off on occasion, drop your intensity, or your volume for a week to allow joints, ligaments, and the nervous system to health up. Lift heavy, eat, sleep, repeat to get the gains you want. By taking these tips and focusing on 1 at a time until it becomes common practice will bring your training and physique to where it wants to be. And if you’re looking for a program to get rollin,’ I’ve got you covered here.